As part of a multicenter project aiming at establishing a modular protocol of intervention targeting anxious and depressive disorders and in collaboration with the Specialized Psychological Consultations – Emotions, we designed a questionnaire assessment procedure of various psychological processes. This procedure works though an interface designed by Guy Sydor. It allows to gather automatically data about the psychological processes among anxious and depressive patients. In practical terms, each therapist can invite patients to fill in online questionnaires. Once the completion is done, the data of the patient can be analyzed in an Excel File. This File also allows to communicate easily the results to the patient and provides easy to read graphs of the results. 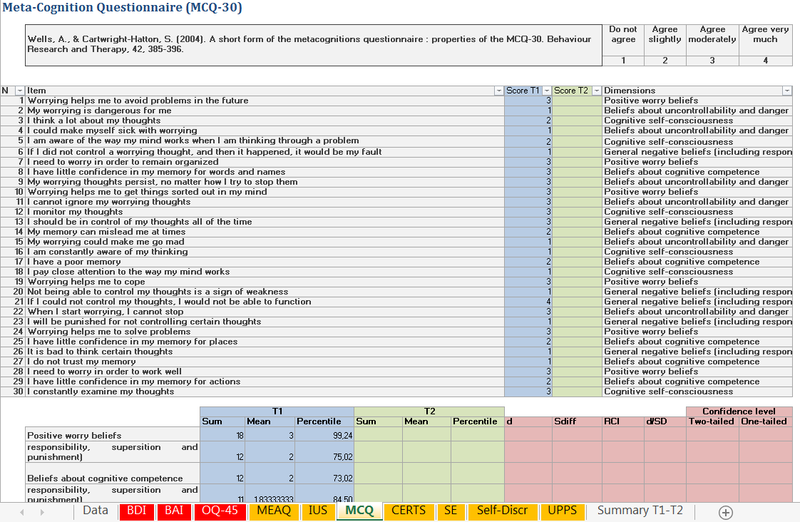 You will find below an overview of what is provided by the Excel File (Figure 1) for the metacognitions questionnaire. It offers also the possibility to evaluate changes across time. Figure 1. 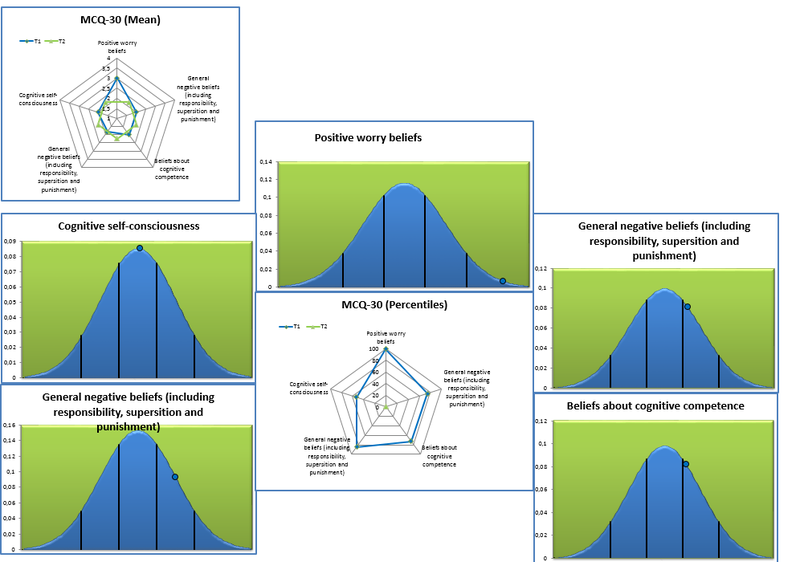 Answers example for the Metacognitions Questionnaire (MCQ-30). The therapists who wish to do so can get a free access to the interface. As a counterpart, the data will be used for research purpose. Please read our user charter for more information. 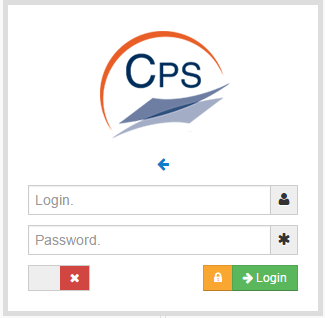 To get an access, simply access the interface website and request a login. You will be asked some information about your professional profile. Once your request is validated, you receive a confirmatory email and you are then able to access the platform interface. For more information about how to use the interface, you can access a full tutorial once logged into the interface from the homepage as presented in Figure 2. Figure 2. Homepage of the interface.